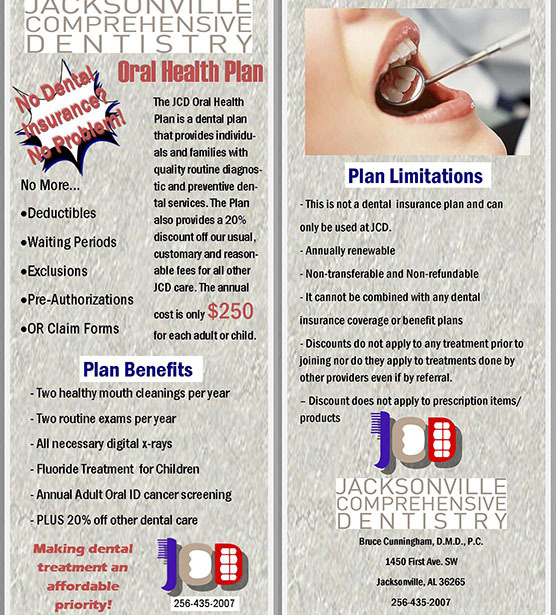 Jacksonville Comprehensive Dentistry in Jacksonville AL Gingivitis and in its advanced state, periodontitis, has a profound effect on the gums. As gingivitis progresses, more and more bacteria and plaque builds up, causing the gums to stretch. The end result it large pockets, that once they are cleaned out, remain on your gum line. These pockets cause the gums to recede, which aesthetically not pleasing to the eye. When the gums recede, an abnormal amount of tooth structure is exposed.